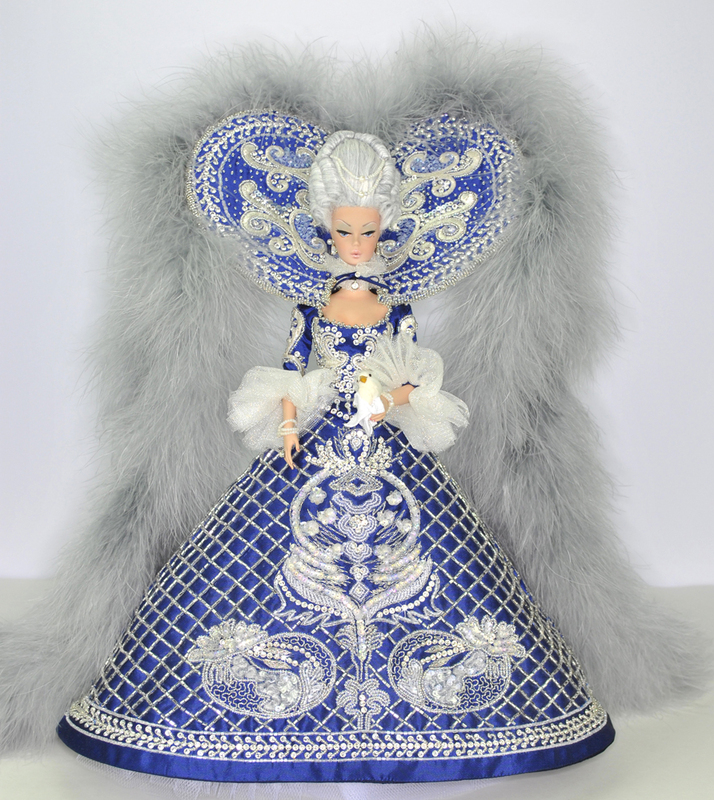 Inspired to the one of the Italian most famous carnival mask, Colombina, here is our donation for the Charity Live Auction of the National Barbie Convention held in New Orleans. 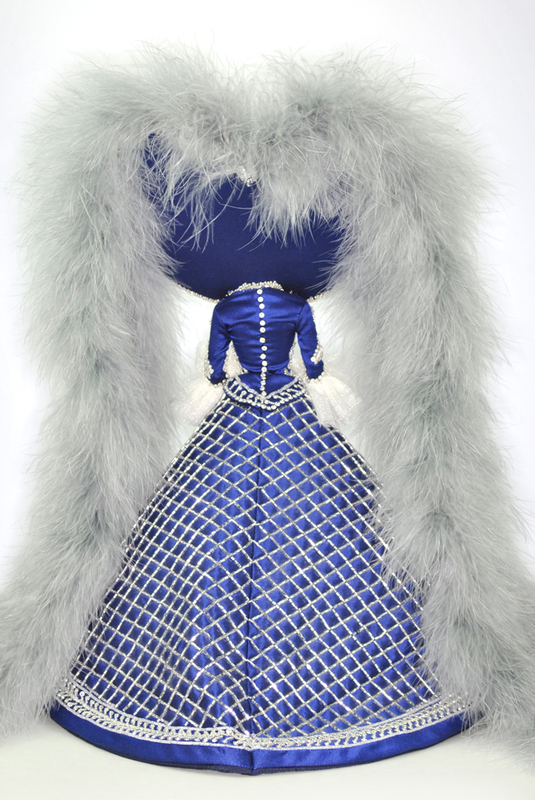 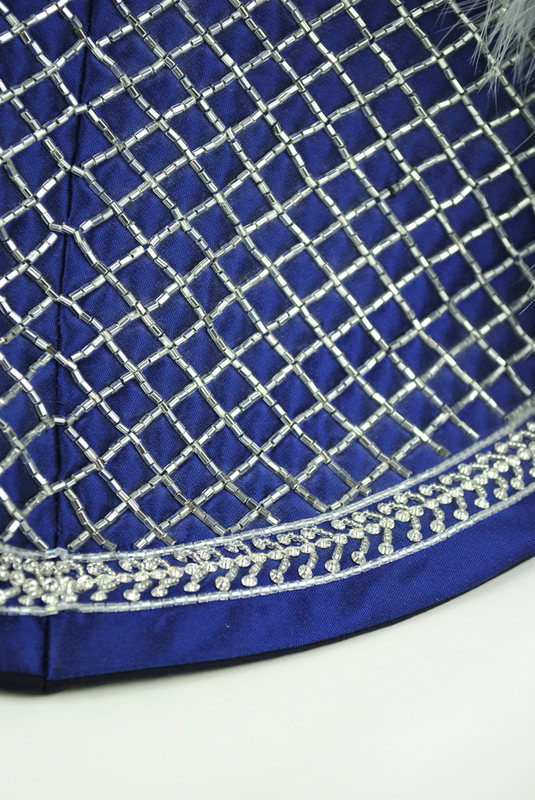 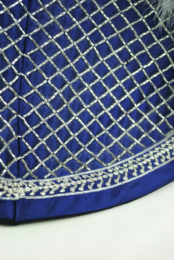 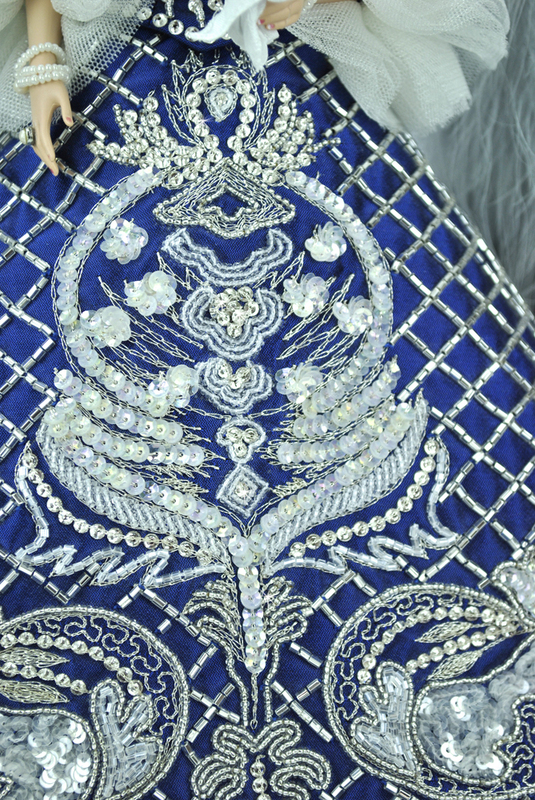 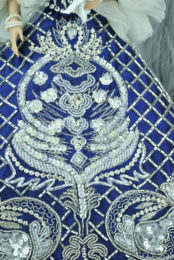 this masterpiece is fully handbeaded with tiny silver and clear sequins and beads with an intricate design, on a silk bright blue taffeta, several layers of net and crinoline to hold the heavy skirt, she also wears stockings and underskirt in net. 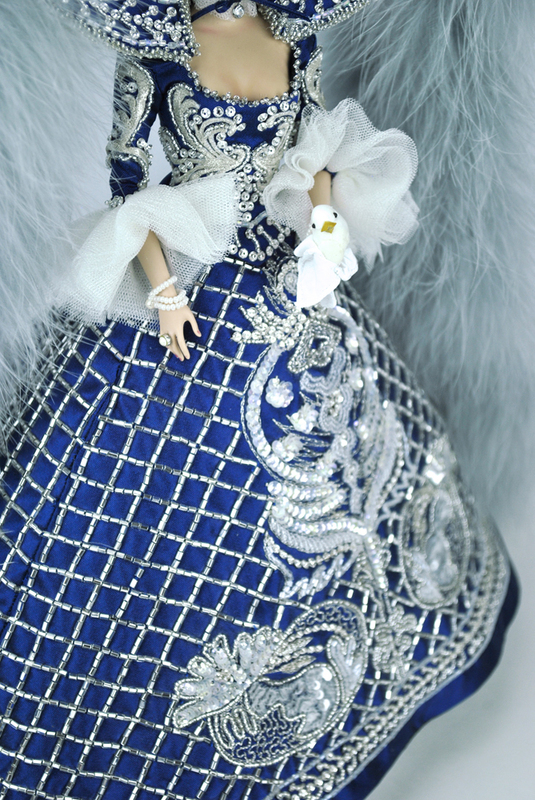 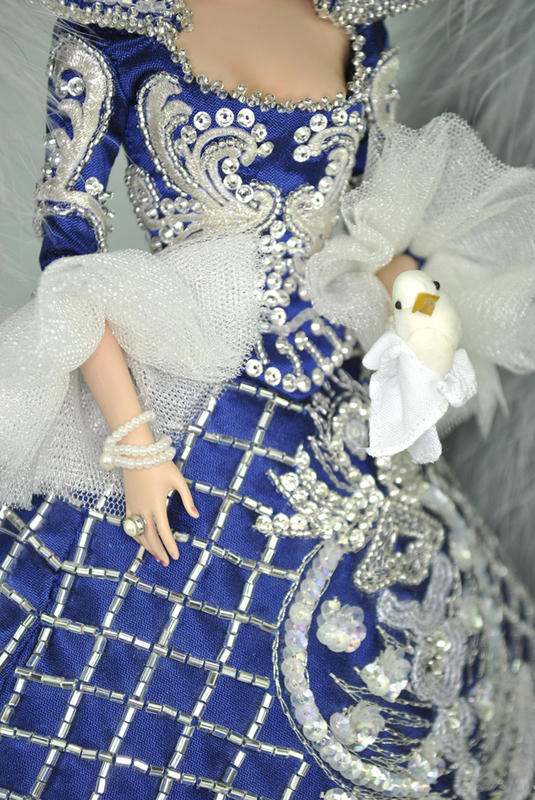 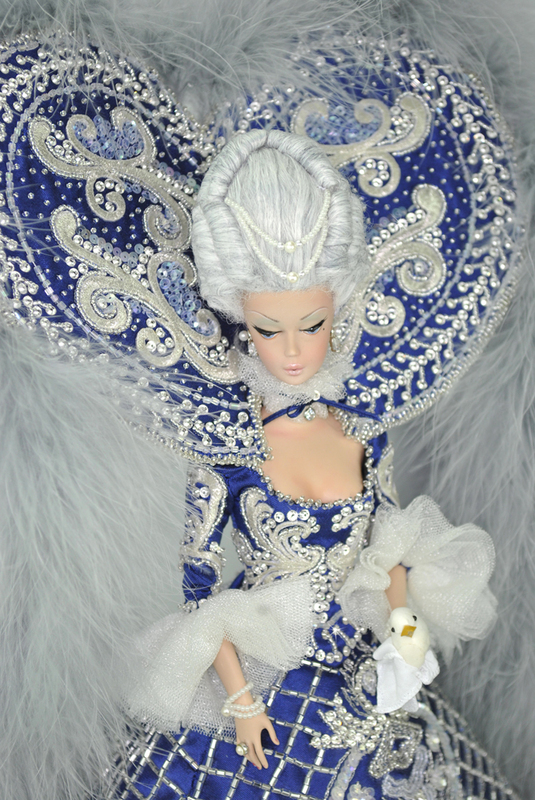 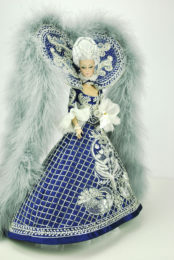 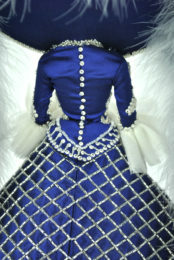 the elaborated dress is adorned with four silver grey feather trains. 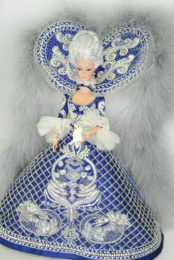 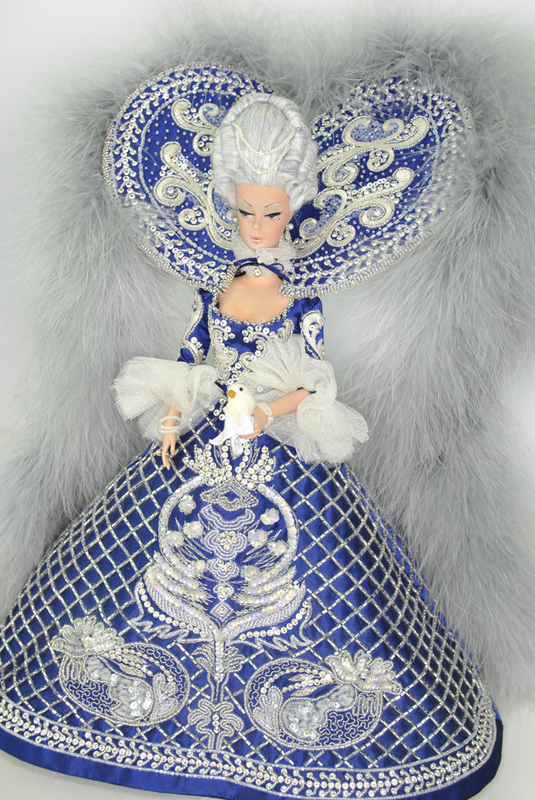 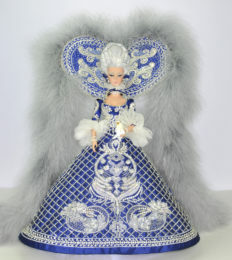 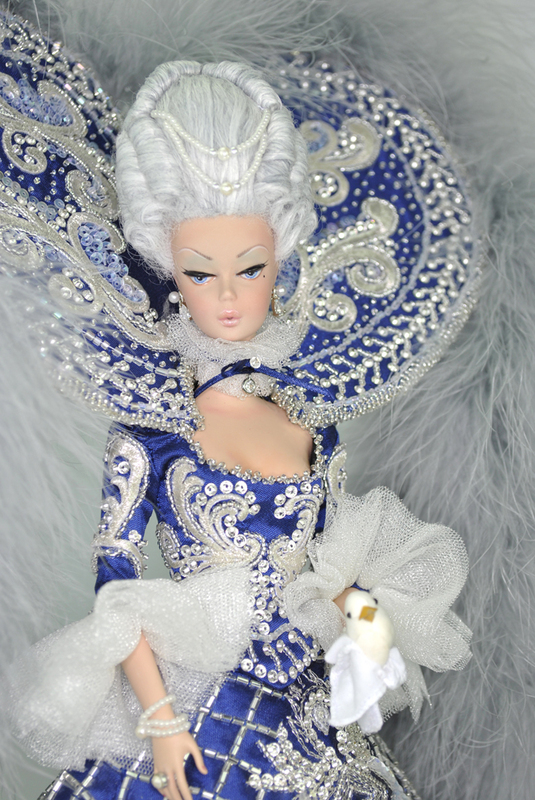 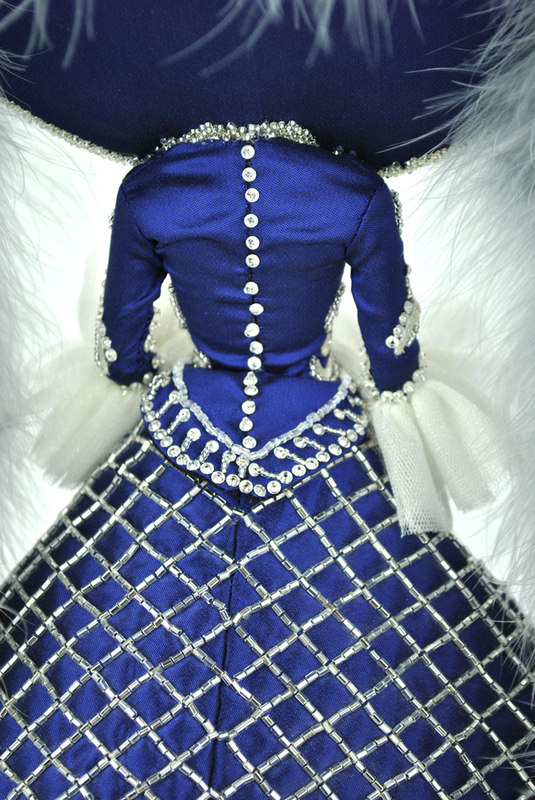 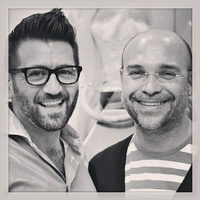 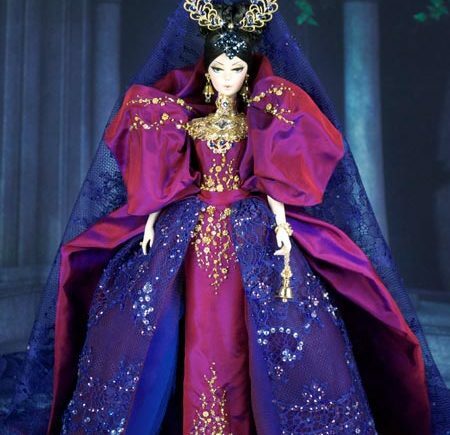 A special thanks to Ilaria Mazzone for the doll reroot in this Venetian style. 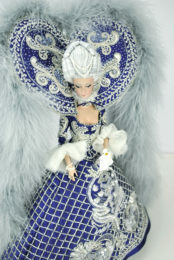 She has been completely repainted with professional acrylic colours and sealing. A new elaborated hairstyle and fine matching jewellery set. 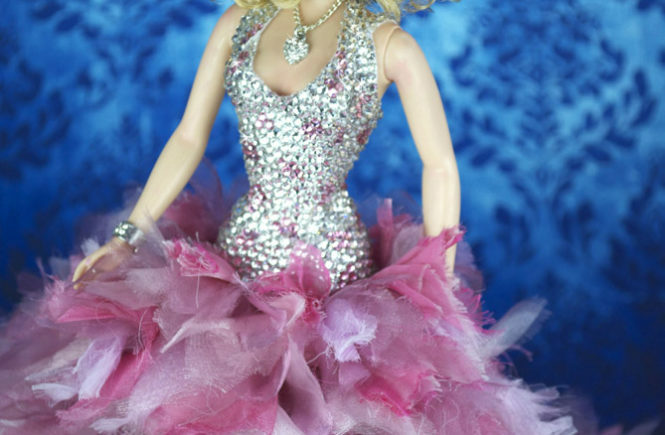 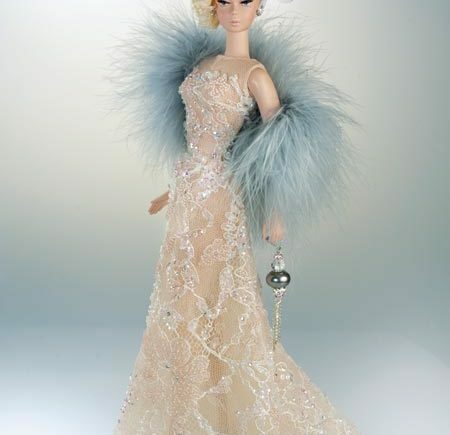 THANK YOU to Cheryll Burnett , who won this doll for the incredible amount of $10.000!